Kass is a very nice girl. She has been titled so quickly, just after few entries. Kass is our imported bulldog. 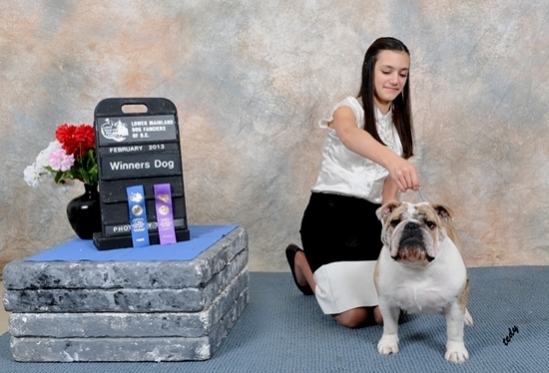 She came from the famous Spanish kennel Best Bulldogirona to us. 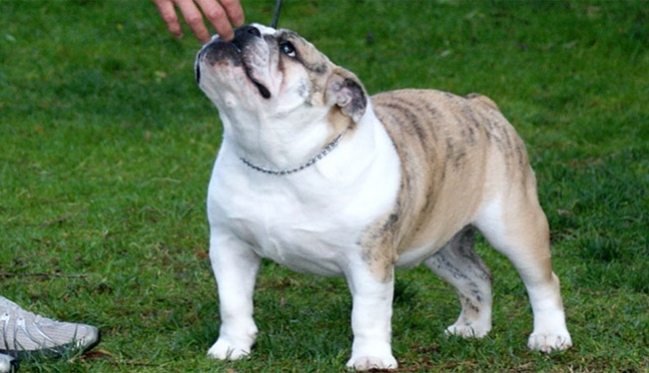 She has lots of famous bulldog names in her pedigree like Eng. Ch. Medbull Gold Dust Over Kelloe, Eng It Int Ch Kelloe Angel Dust, Lynmans Living Legend, Int Ch Merriveen Take Five, Eng Champion, Ch Denmark Calibra Kruggerrand, and more.